Of all the public lectures to miss in my own department, this one is particularly annoying. 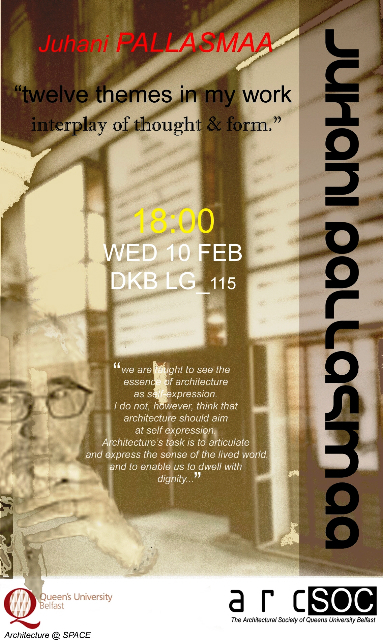 However, if you’re in Belfast on Wednesday 10 February, Finnish architect, former professor of architecture at the Helsinki University of Technology and a former Director of the Museum of Finnish Architecture Juhanni Pallasmaa will be speaking at Queens. The lecture starts at 18h00 in LG_115 in the David Keir Building on Stranmillis Road. Pallasmaa’s book The Thinking Hand was an excellent discovery for the fifth year architecture elective on practice and education that I co-directed this year. Much to my great personal torment, I will not be in Belfast but on a brief exchange visit here… watch this space for more. I live quite close to a bookstore branch of a famous charity. I don’t often drop in, because said charity has a habit of marking up their second hand stock to a point that seems to negate the pleasure and value of taking the time to search through the shelves. I also smart a little every time I visit, because on the one occasion (during my extended winter of unemployment) I went in to volunteer some time, I was subjected to one of the rudest customer service encounters I can recall in this city. I did not persist in my efforts to help them out. As promised, here is the text of the a paper I delivered at the 2009 AHRA Postgraduate Research Symposium in Cardiff just before Christmas. This is the first academic paper I have delivered in the course of my PhD studies, and I took the opportunity to tie-up some research I’ve made into the live projects that existed at the Birmingham School of Architecture in the nineteen-fifties and sixties. It’s not a ground-breaking work, but at an introduction to what I believe to be an as-yet unconsidered series of pedagogic experiments in British architectural education. I’m especially grateful to RM and AM for their input and advice, and to the attentive and responsive Cardiff audience who eased me into the art of reading aloud my work out aloud. I hope that a fellow presenter here today won’t object to me paraphrasing something he wrote on the fiftieth anniversary of the 1958 Oxford Conference on Architectural Education, that ‘it’s as easy to complain about the state of architectural education today as it is difficult to comprehend quite how awful it was fifty years ago.’1 In 1958 and 1961, two journals – Architecture and Building and Architect and Building News – commissioned the same correspondent, John Smith, to report on the state of the schools of architecture in Britain. In 1958 he found schools ranging “from pucka university departments to correspondence colleges of dubious merit.”2 But in some, Smith found students designing and building real buildings, notably at the Birmingham School of Architecture, where a programme of live projects had seen dozens of buildings constructed to students’ designs. Reporting from a city famed for its manufacturing, Smith found a school with an ethos “to do a little, thoroughly, rather than a lot, superficially.”3 In their second year, Birmingham students constructed bizarre ‘conglomerates’ in the workshops of a nearby technical college: temporary, small-scale indoor structures that were designed to combine as many different domestic details as possible rather that satisfy a client or brief.4 The conglomerates were dismantled after assessment so that their materials could be recycled the following year, but these were a prelude to the live projects: bungalows, terraced houses, small blocks of flats and community halls designed or built by students in the upper years. We have, in architectural education today, a notion of what a ‘live project’ is and what it may achieve. The term is a primarily British one, but the notion of removing students from the simulated design environment of the studio and transplanting them to the ‘real’ world is well established elsewhere. Dr. Rachel Sara, who has written extensively on contemporary British live projects and whose doctoral thesis examined their pedagogic value from a critically reflective feminist standpoint, has defined a live project as ‘a type of design project that is distinct from a typical studio project in its engagement of real clients or users, in real-time settings. Students are taken out of the studio setting, and repositioned in the ‘real-world’ … the process is more dialogic and inclusive than traditional studio projects, allowing and embracing alternative voices in the studio environment.’5 From an American perspective, William Carpenter, who has written about design/build studios in American schools of architecture, defines a live project as a ‘university course that incorporates actual practice-based methods into an educational environment for clear learning outcomes.’ The engagement of American schools of architecture in design/build studios or Community Design Centres provides a seductive stepping stone between, on the one hand, pedagogically motivated live projects and, on the other the philanthropic community-based design/build projects. The design/build studios of certain American schools of architecture were inspirational models of user-centric collaborative learning to my recent generation of live project students at Sheffield, a school with ten years of recent experience in their delivery. However the contextual specificity of an architectural education that engages students in the real world cannot be replicated somewhere else. Auburn University’s Rural Studio in Alabama depends not just on a density of potential clients living with substandard houses and facilities, but also a county in which students can work without building legislation. With more than a decade of continuous activity from the early fifties to early sixties, I propose that the Birmingham live projects are an under-explored series of experiments in mid-twentieth century architectural education. As John Musgrove6 and others have noted, most writings on architectural education regard the 1958 Oxford Conference as a turning point in British architectural education. In their comprehensive history of architectural education in Britain, Messrs. Crinson and Lubbock go so far as to describe the conference in militaristic terms, suggesting a conspiratorial attack by the modernisers of architectural education. In the generational overlap between the decline of articled pupillage and the rise of the modern era of an academic education in architecture, it is tempting to interpret construction projects such as those at Birmingham as an artisanal reaction against the recommendations of the 1958 Oxford Conference, which favoured a higher entry qualifications and the concentration of schools in university-level institutions with healthy support for postgraduate research. But we should remember that the Birmingham live projects were in action seven years before the conference, and that as my research that has found, the head of the school was eager for students both to design real buildings and be in a university. In the words of John Smith, Douglas Jones, head of the Birmingham School of Architecture from 1947 and 1962, was “to Birmingham as [Charles] Reilly was to Liverpool”. Jones became head of the architecture school in Manchester in 1940, before being appointed to the same position at Birmingham, where he replaced the École des Beaux Arts-trained George Drysdale. We know that he taught at the Architectural Association in the late thirties, and there is tantilising evidence that he ran a live project there in which students designed and built a small cottage, although this has been omitted from any of the histories of the AA l that I have found. Minutes from the Birmingham school of architecture sub-committee in 1949 indicate that, less than two years after his appointment, Jones was already pressing for the School of Architecture to be affiliated with Birmingham University. Mention is made of the confusion he caused by bypassing his superior, the Principal of the College of Art, in communicating directly with the Ministry of Education on certain matters. These minutes suggest Jones was politely put in his place, but by the following year, informal discussions had begun with the university, and a report was prepared by the school’s chief education officer. It was noted during this process that universities such as Liverpool were already likely to be attracting better students with the opportunity to acquire an honours degree, even though the majority of RIBA recognised schools of architecture were in technical colleges or schools of art. Jones’ ambition in seeking to align the Birmingham school with a university – almost ten years before the Oxford Conference set an academic agenda for schools of architecture – was unprecedented, and while the Birmingham school was to remain aligned with the school of art, suggested a radical aspiration for a teaching of architecture that was both practical and academic. Only a very small number of students can prepare the drawings for the actual contract purposes and professional responsibilities make it inevitable that the best students only are selected … The students who have to make drawings for their own alternative scheme, which are not to be built, benefit no more than from a normal school programme. They may, however, feel a sense of frustration, as compared with the selected group, and this may result in a lower standard of work on their part. That is not to say, however, that the board was unsympathetic with the pedagogical intent of the live projects to simulate normal architectural practice in the school. There is only one thing that is certain about Architectural Education and that is its complete uncertainty … In this age of architectural chaos, we at Birmingham, have taken (or have tried to take) several educational steps which I hope are forward steps; but all the thought and the effort that we have given to Architectural Education (and at Birmingham during the past few years there has been greater impetus than in any of the other Schools) has been been passed over. This perhaps due to the fact that two views are held on the subject of Architectural Education. The first of these views is that of the architect who maintains that students on qualifying should make useful assistants and justify their existence by paying their way as soon as they qualify. 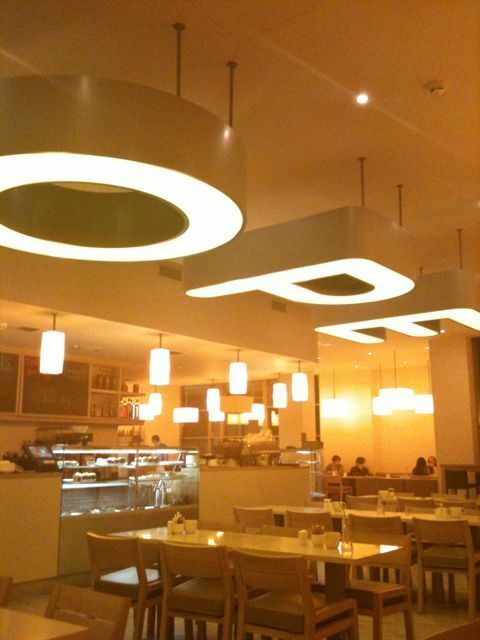 If the School concentrated entirely on turning out good assistants for Private Offices they could probably succeed but – and this is the other view – it is the duty of the Schools not only to try to train useful assistants but also to train people who will one day make good architects with vision and initiative. Here, in 1953, Douglas Jones has identified the problem that architectural educators continue to grapple with more than fifty years later; namely how architecture may be taught in a university-level context. On the one hand, Jones’ aspiration to align the school with the university confirmed the he saw architectural education as a highly intellectual creative activity, while on the other his development of construction projects emphasised its practical and problem-solving nature. While the learning-through-making approach of the Bauhaus has had an immeasurable influence on schools of architecture around the world, I would suggest that Birmingham developed a subtly different model of ‘live’ architectural education that situated live architectural problem-solving into an academic context. Subsequent live projects, including a village hall, an ex-servicemen’s club and a number of small housing developments, were to acknowledge the criticisms of the 1953 report and moderate the scale of work undertaken. 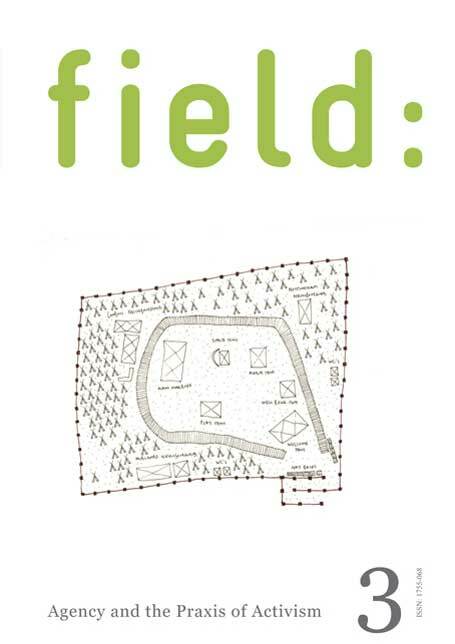 But to look back at the Birmingham live projects in search of precedents for current collaborative or live projects, it is tempting to simplify a complex series of experiments in architectural education as an pioneering example of a design/build education in architecture. Sara, for instance, summarises that “students were involved in hands-on work, in communicating with clients and each other, in outside locations.”11 While it is true that Birmingham students were introduced to basic building skills through the second year conglomerates, and that third year students produced all the necessary materials for small projects to be built, I would express great caution in assuming that the Birmingham live projects were coherent design/build teaching projects in the sense that we understand them today, and that to do so downplays their importance in a broader history of architectural education. To suggest that they did all of the above is to compress a decade of teaching practice into the life-span of one student, and as was noted by the RIBA visiting board, it was a quite un-collaborative process that was liable to exclude or under-represent weaker students. And while the live projects introduced students to real clients, almost all were local authorities or public bodies. Moreover, students worked just as before – individually and in competition with one another to have their design chosen by a jury of critics for detailed development. It was not until 1959 that we can be sure that students actually worked on-site, and when they did, in a row of terraced houses in Water Orton in a distinctly titled ‘live building project’, they were actually building a design provided by a commercial house-builder, in an early example of architecture students providing cheap if inexperienced labour (although I should emphasise, the houses still appear to be standing). In an article in the AJ that year, Anthony Goss, a senior lecturer in the school, introduced an evolution of the desire to bring a sense of realism in the studio, namely a ‘Realistic Project’ for fourth and fifth year students. While affirming that they “in no way take the place of our live projects”13, Goss acknowledged the difficulty with which a continuing search for “realism” in architectural education could be balanced with a sufficient “depth” of study for upper level students. The realistic projects grouped students with real clients and host architects to provide expertise and criticism, but there was to be no built outcome. The students prepared agreed briefs in their groups before ploughing their own furrows towards separately submitted projects, each designed up to working and detail drawings, with a fully detailed cost plan. Presentation drawings were discouraged. Goss concluded that “the principles underlying the schemes – of realism, deeper study of smaller buildings and a closer link with good offices – deserve wider application in senior years of architectural education.” But realism was not to include construction. The Birmingham live projects of the nineteen fifties and sixties have emerged in this, my first year of PhD studies into live projects in architectural education, as the first notable example of a British academic architectural education that sought to engage students with a sense of the realism that was seen to have been lost in the transition away from articled pupillage to a Beaux Arts derived education. Through primary documentary evidence, we know that Douglas Jones wanted the Birmingham School of Architecture to be both located in a university and to engage with an unavoidable reality that would nurture sustainable problem-solving skills and creative vision. It is my thesis that these, and many other subsequent live projects are an opportunity to understand a perceived inadequacy or flaw in the teaching of architecture. My research continues, and I am hopeful of locating more primary evidence relating to Douglas Jones and his colleagues at Birmingham in the nineteen-fifties in the coming months. 1. Parnell, S., 2008. Coverage of the 1958 Oxford Conference was harsh and influential. Architects Journal, (17 July), 47. 2. Smith, J. 1958. The Schools. Architecture and Building, (February), 42-69. 3. Smith, J., 1961. Schools of Architecture – 2 – Birmingham. Architect & Building News, (22 February), 257-263. 5. Sara, R., 2006. CEBE Briefng Guide Series, No.8: Live Project Good Practice: A Guide for the Implementation of Live Projects. Plymouth: University of Plymouth. 6. Musgrove, J., 1983. Architectural education : the growth of a discipline. Architectural Education, (1), 105-112. 7. TROMBLEY, S., 1983. The Oxford Conference and after : an interview with Elizabeth Layton. 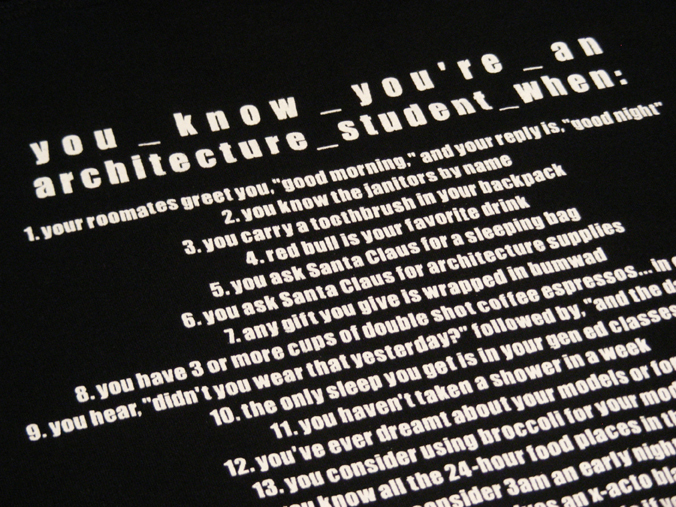 Architectural Education, (1), 89-97. 8. RIBA, 1952. Report of the RIBA Visiting Board upon the School of Architecture, the College of Arts and Crafts, Birmningham. London: RIBA. 12. Carpenter, W., 2004. 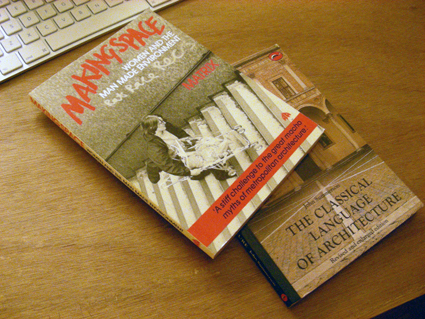 Design and construction in architectural education : 1963 – 2003. PhD edn. Birmingham: University of Central England in Birmingham. An article co-written by myself and Tom Warren entitled Let loose the Loganberries of war: making noise and occupying space in Govanhill has just been published in volume 3 number 1 of the peer-reviewed journal Field. It’ll be available for download later this month. Addendum: an overheard conversation between a waitress and another customer reveals that there can be no chips in Hope, because the university won’t allow a deep-fat fryer in the library building. Perhaps a key cultural indicator? 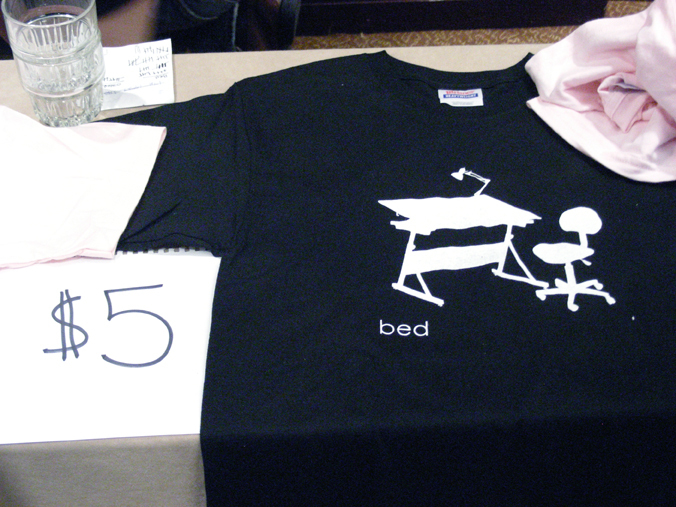 At the AIAS Forum (described below) one afternoon, architecture students from around the country presented the t-shirts they had designed and printed to raise money for their AIAS chapters. And while there were some exceptions, I couldn’t help noticing a pattern emerging. …learning communities – places where students are supported, not put on trial, where communication is clear and mutually respectful, where all groups are actively sought out, and where the community regularly celebrates itself. I am of a generation that questions the Beaux Arts method of inculcating students with a certain patten of behaviour – a kind of academic hazing, if you will. Architecture has been a problematic discipline to open up to its true diverse and inclusive potential, especially as for so long its design studio overwhelmed curricula with its sprawling time requirements and overwhelmed students with its competitive structures of work and judgement. But in that same report, Boyer and Mitgang noticed that despite a density of reasoned critique, many architecture students were inclined to defend such aggressive and confrontational educational rituals as the solo student presenting to a design jury of invited critics. It’s hard to tell from the cross section of architecture students at the AIAS Forum, but I sensed a continued affection for the macho culture of architectural education. 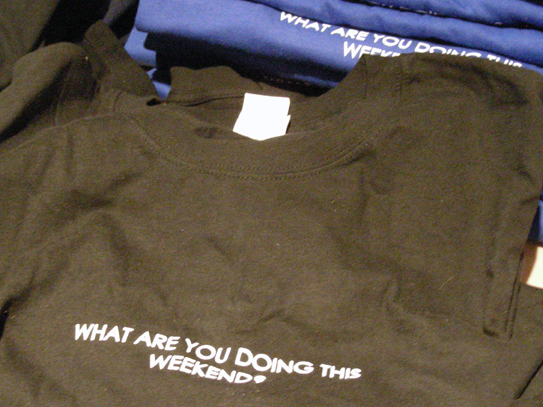 Perhaps it was most evident in the t-shirts on sale. Is it representative of every student and every school? I doubt it, but it was something that seemed somewhat out of step with the progressive and inclusive culture of architectural education advanced by the AIAS in its broader activities and publications. I’m back from sunny Minnesota. Sunny, snowy and sub-zero (in both Celsius and Fahrenheit) Minnesota. 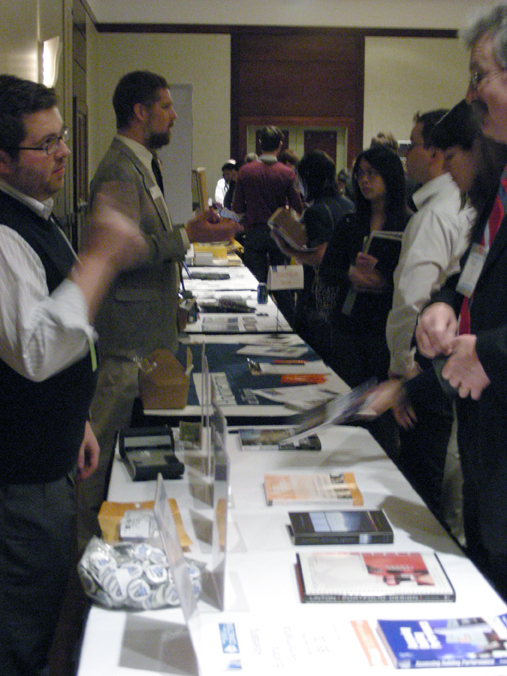 It was a great pleasure to be welcomed to the American Institute of Architecture Students (AIAS) 2009 Forum, and I owe a debt of thanks to the forum organisers for their hard work in preparing such a large event. There were about five hundred and fifty delegates in attendance, mostly students of architecture from schools throughout North America. Here’s a view of the Nicollet Ballroom before one of the nightly general sessions, before which chapters (representing individual schools of architecture) confirmed their presence to a daily roll call with a selection of sports field chants, musical parodies, borderline sexual jokes and (for those attending on their own) solitary wails or monologues. There was a busy programme of workshops, general sessions, keynotes, tours and events. I had the pleasure of putting my head round the door of a design charette at the University of Minnesota and visiting some local architectural practices who opened their doors during the Forum Firm Crawl. The Forum was an excellent opportunity for me to get a feel for what students of architecture in the United States are currently talking about. It should be no surprise that top of the bill is pretty much the same thing that British and Irish students are talking too: the recession. Representatives of the AIA (American Institute of Architects) at state and national level spoke during the general sessions, all imploring architecture students not to give up, because although times are bad “we need you” (George H. Miller, AIA President, if I attributed that correctly) and “you are agents of change” (Thomas Fisher, Dean of the University of Minnesota College of Design). What struck me, however, was an absence (as far as I found it, at least) of any discussion of alternative practices, especially those that might see students through the economic malaise. I was impressed by the students who presented recent AIAS Freedom By Design projects, which are the latest additions to a long history and culture of pro bono work in the community by architecture students in the United States. But in response to the problems faced by the recession, I sensed only a cultural attitude that the economy will eventually pick up, and students should be primed and ready to leap back into traditional commercial practice as soon as that happens. This was very much a meeting between the profession and its future members. While I understand there was some heavy socialising going on in the evenings (I politely excused myself to accept the kind offer of free accommodation outside the city) during the daytime I noted the business-like atmosphere of the Forum. The majority of workshops on offer were proposed to develop employability, through portfolio, technical and presentation skills. 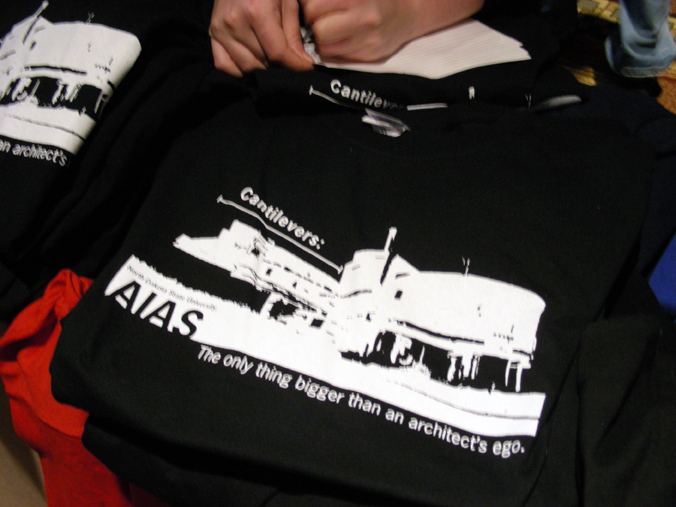 And while the rowdiness of the roll call described above was in stark contrast to the image of a diverse and inclusive profession that I understood the AIAS and AIA to be campaigning for, the atmosphere of the event was overwhelmingly business-like. The Forum delegates represented the most motivated and the most passionate students of architecture in the country (being as most are, paid up members of the AIAS and representatives of this national body of students at their local schools).